Well, we were close in our diagnosis of Sadie's itching. She does have an allergy and has scratched herself to a skin infection. Bless her heart. So the vet gave us medicated shampoo, an antibiotic and an antihistamine. Now we have five pills to give our dog every day. It was eight, but we're in the phasing out stage! Usually giving pills can be a pain in the neck. From experience we know that human medicine can take horrid, and apparently pet meds are the same. When offered plain, Sadie will look at me like I'm insane - You want me to do what with those? Instead of forcing pills down the throat or make the situation a struggle, our secret is peanut butter. 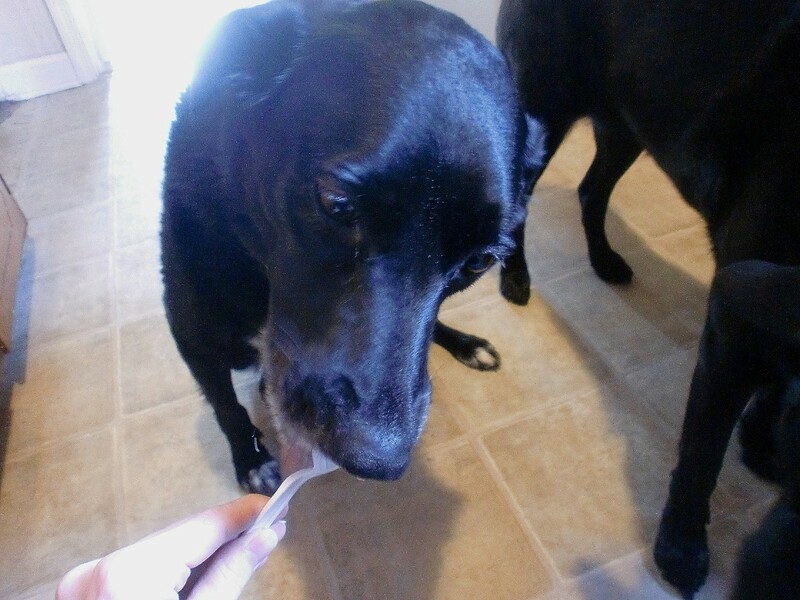 Both of our girls are addicted to peanut butter, so it was easy to use this as my trick for getting many pills into Sadie. With just a plastic spoon and some creamy peanut butter, I can medicate my dog easily and effectively. We can pile them all onto one spoonful and Sadie thinks they're a treat. Apparently the smell overwhelms her nose and mouth instead of the taste of the nasty pills. What tickles me even more is that Bailey gets jealous at pill time now. You can see her in the picture, trying to get her share of the peanut butter. 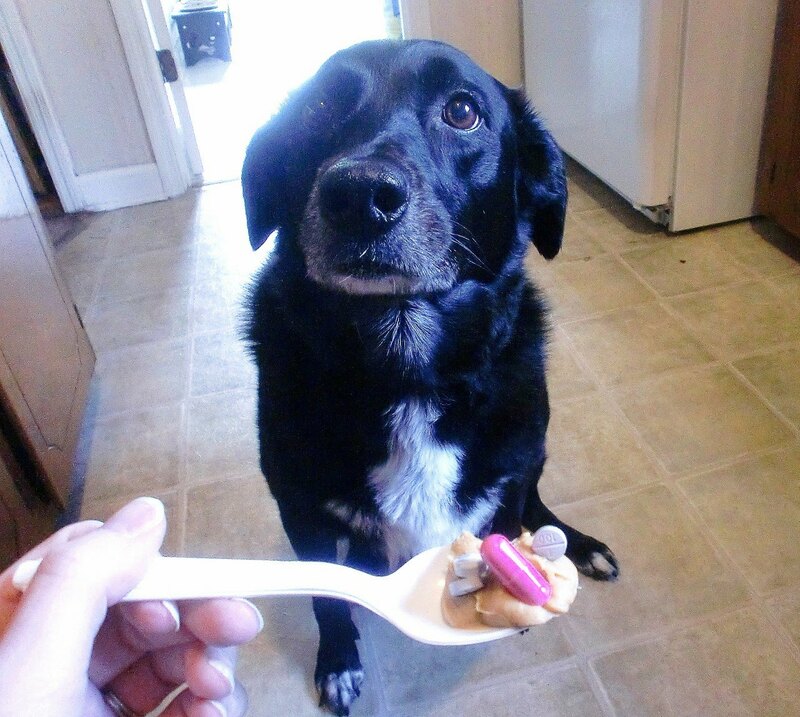 At least I know that if she ever needs pills, too, she'll be just as willing as Sadie...when there's peanut butter involved!